Hi all. 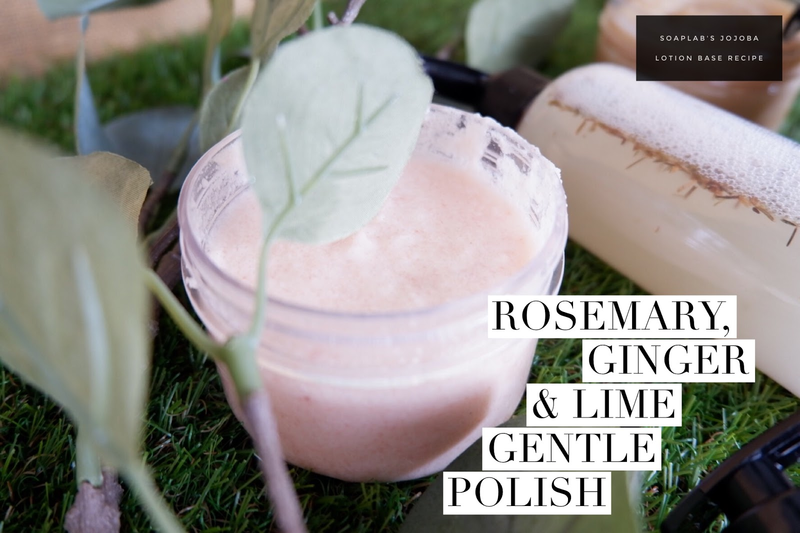 To wrap up our Chinese Themed Spa Series thats perfect for you to add into your reflexology spas; ill be showing you how to make a gentle polish; or more commonly known as scrub. The Chinese themed spa series iso far includes Fresh Ginger, Green Tea & Lavender Massage Oil, Satsuma & Eucalyptus Detoxifying Cream Bath, and Rosemary, Ginger & Lime Gentle Polish. The polish uses a jojoba lotion base with pink Himalayan salt, rosemary essential oil, and ginger lime fragrance oil. Jojoba hydrates and provides the skin with long lasting moisture. The pink Himalayan salt relaxes you and soothes sore muscles, while rosemary essential oil tones the skin and helps to improve blood circulation. Add ginger lime fragrance oil for a zesty and rejuvenating aroma. Enjoy!